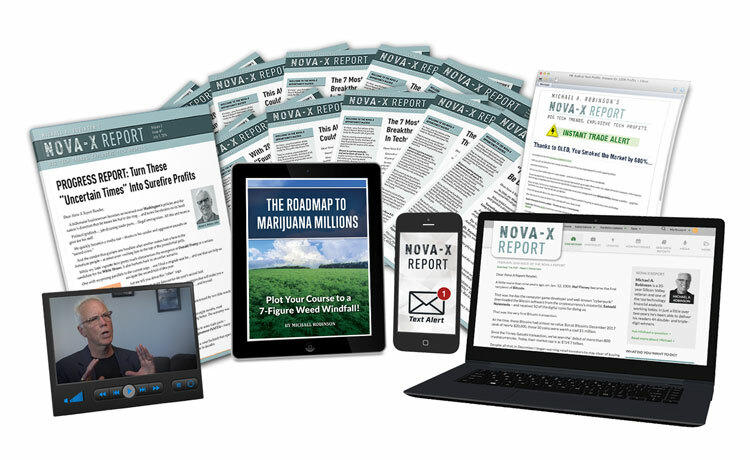 The Nova-X Report by Michael Robinson puts you directly in touch with high tech research, analysis, stock picks and strategies that can double, triple – even quadruple your retirement savings faster than any other sector on earth. 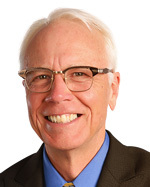 It’s led by 34-year Silicon Valley insider Michael A. Robinson who has uncovered nearly every major tech breakthrough since the personal computer, making a fortune for his readers in the process. The key to winning in tech investing is to ignore the hype, while pouncing only on companies that offer real growth. Michael shows you how to do this every month. Today, he’s following some of the most lucrative tech trends in history – including mobile technology, “Big Data,” the Cloud, biotechnology… and more. Each issue shows you exactly how to capitalize on these opportunities for the biggest gains… while safely protecting your retirement. 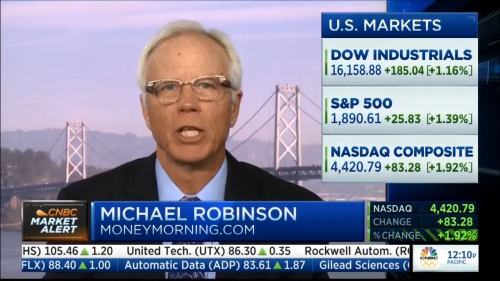 Hello, my name is Michael Robinson. 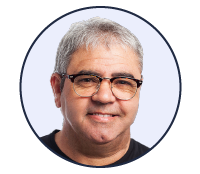 I’ve spent 33 years in Silicon Valley as an analyst, board member of a prestigious venture capital firm, and senior advisor to 12 high-tech startups. And nothing I’ve witnessed in my career has ever gotten me as excited as what I’m about to share with you. If you don’t have your cell phone handy, you’re going to want to grab it right now. In virtually the blink of an eye. It’s all thanks to a 23-year-old math prodigy who is now one of the wealthiest men in the world. He’s also one of the most generous. He’s effectively put $31 billion worth of new money up for grabs. You can take part in this virtual gold rush. And you won’t be alone. 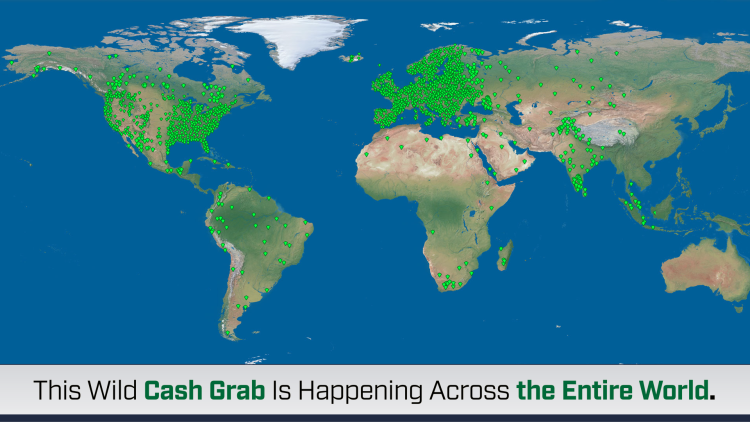 Are participating in this wild cash grab. Jack Grisham just collected $100,000 from it. Harold Winchester is getting his piece of the action too. Harold is 38 years old. He’s a happily married father of three, who works as a parking lot attendant. It’s safe to say Harold and his family have a lot to celebrate right now. Economist Travis Patron predicts this cash grab “will create more millionaires” than anything else in human history. You should make sure you are one of them. Because this is too easy to pass up. There are no special qualifications to take part. 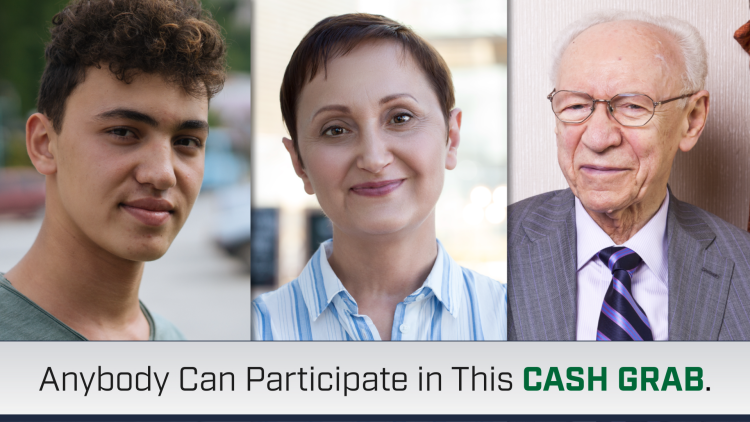 You can be 16, 48, or 80 years old. 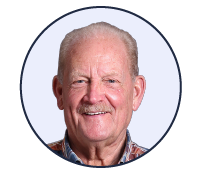 Retired… or working 40 hours a week – it doesn’t matter. And if you are someone who values your privacy, there’s something very important I need to point out. I only know these folks’ names and how much they made, because they shared their stories online. 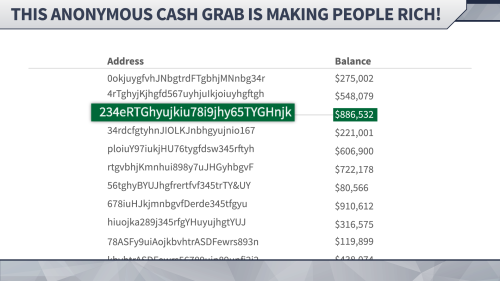 This cash grab can be 100% anonymous. The only proof these kinds of transactions are occurring is a series of nearly indistinguishable ID codes like you see on your screen. But the amounts tied to those codes can be staggering. This person’s stake is worth $679,900. 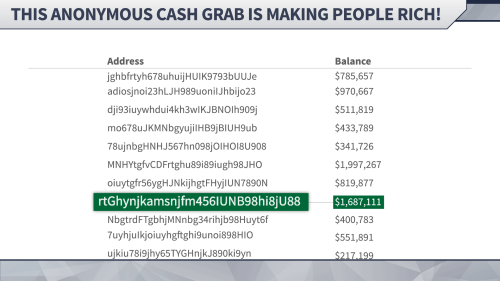 Over here, you can see someone is set to bank $886,532. This lucky individual is primed for a $1,687,111 payday. And wouldn’t you like to open an app on your cell phone and see $1,997,627 is there just waiting for you to collect it? I don’t know who this person is, but that’s the exact amount he or she could receive. And countless others have between $10,000 and $99,999 waiting for them. They just need to hit a few buttons on an app and this money can ultimately be theirs. And this cash grab is still running at full steam. 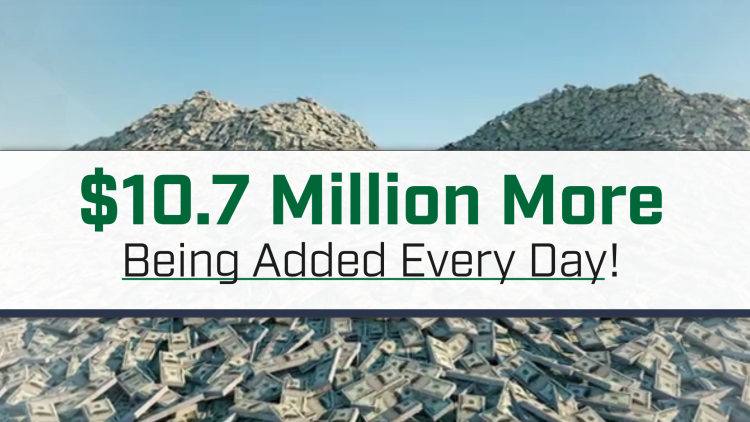 As much as $10.7 million worth of this new money is being distributed every single day. Including JP Morgan Chase, UBS, Credit Suisse, Mastercard, and Fidelity. Yet, not a single penny of this money is a loan. You never have to pay any of it back. According to the IRS, as long as you hold this new money, you don’t have to pay taxes on it. If you want in, it can be as simple as grabbing your cell phone and setting aside less than a minute of your time. And this 23-year-old computer prodigy isn’t Janet Yellen’s protégé at the Federal Reserve, who is pushing a button to transfer money into their bank accounts. 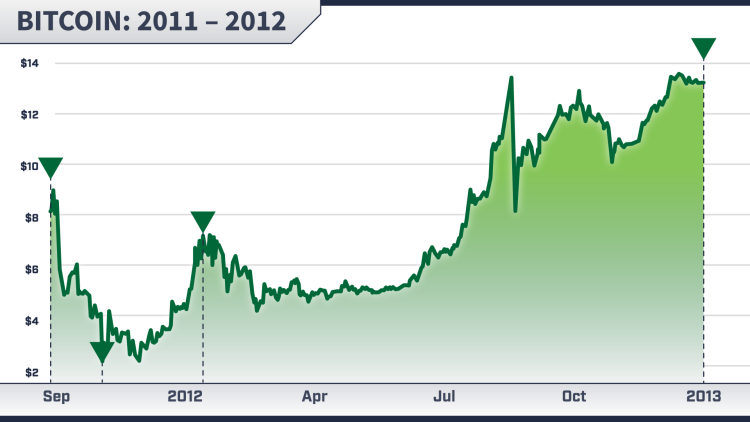 Since 2010, Bitcoin’s price has surged as much as… are you ready for this… 178,559,900%. If you would’ve exchanged $1 for Bitcoin back then – it would’ve been worth about $1.8 million this year. In fact, the total value of Bitcoin today is greater than the GDP of 128 of the 200 largest countries. Yet, in the very near future, this new form of money could dethrone it. This is your chance to take part in the next one. Only this time it could be much – MUCH – bigger. Right now, this new form of money is dirt cheap. And that same afternoon get a notification on your cell phone that a massive windfall awaits you. And all you needed to do was exchange a single $1 bill. 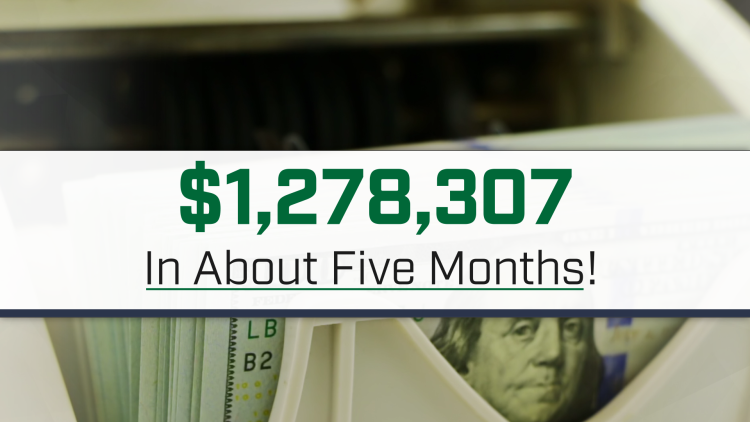 Very recently, you could’ve started with $100… and turned it into $1,278,307… in about five months! 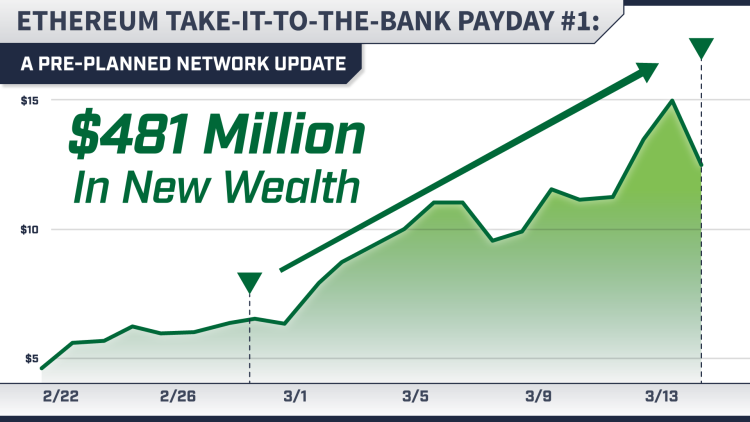 By initially exchanging $100, you could’ve become a millionaire in about five months. 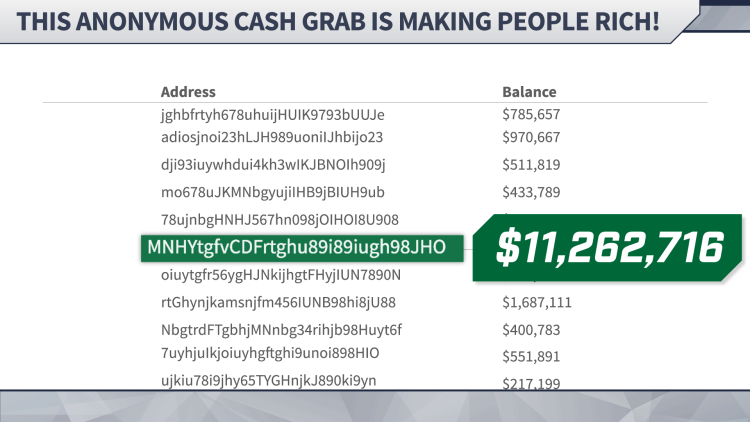 This incredible cash grab is literally changing people’s lives. Dave Webster can attest to that. Dave is a 35-year-old graphic designer and the father of a 2-year-old daughter. And thanks to this cash grab, Todd Hale’s net worth has hit seven figures. But he believes eight figures isn’t that far off. Somebody even made $200 million in a month from this cash grab. Bloomberg couldn’t dig up anything on this individual. 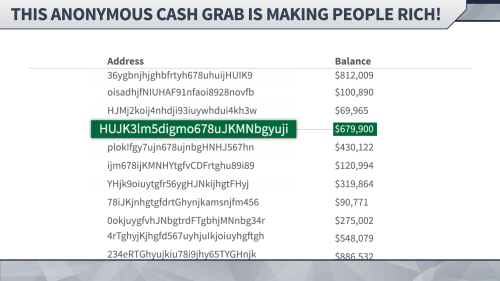 At the center of this wild cash grab is a digital currency called Ethereum. You might have heard of it by now. Especially with all the stories of people transforming tiny sums of money into vast fortunes. And you don’t want to miss out on this virtual gold rush. But maybe you just don’t know how to get started. Or maybe it sounds complicated. In this short presentation, you’ll discover it’s extremely simple to get in the game. If you’ve got a cell phone and a few bucks, you can get started right away. Do you like the idea of buying something that’s very valuable at a deep discount? I’m talking up to 50% off what others are paying. Of course you do. We all do. And I have some good news for you. Use it and you can effectively buy coins for up to half off the market rate. Plus, I have a way for you to receive a “Payday Advance” of Ethereum coins. 500%… 1,000%… maybe even 10,000% more! I should also mention that you can use your laptop or computer to take part in this virtual gold rush. Trading Ethereum isn’t risk-free. There is absolutely risk. So like any strategy, don’t bet the farm on this one thing. But I do recommend it as part of a diversified investment portfolio. After all, we’re in the Wild Wild West here. That’s why the upside is off the charts. So if you exchange $5 for it, I suppose you could lose $5. Or you could hit the jackpot just like Ellen Bradley. Ellen works for a notary firm in Atlanta, Georgia. 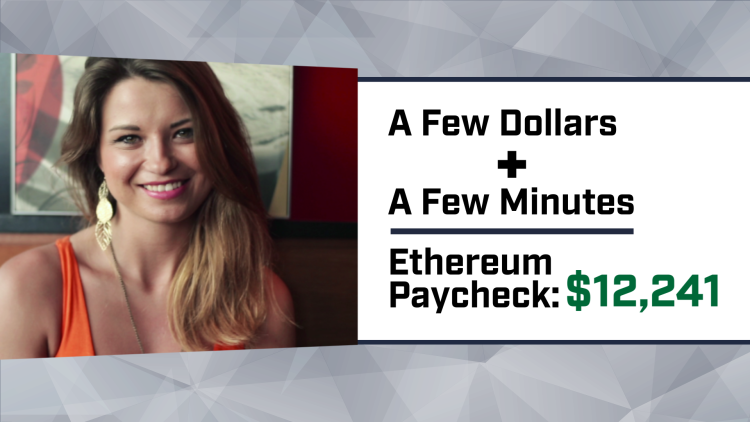 The amount she invested in Ethereum could’ve barely bought her a large coffee at Starbucks. But listen to how that shrewd decision turned out. Ronald Whitehead made out even better. He’s a 36-year-old IT specialist. Tom Sturgill could be looking at a $56,000 Ethereum windfall if he sold his stake today. In his mind, it’s a drop in the bucket. 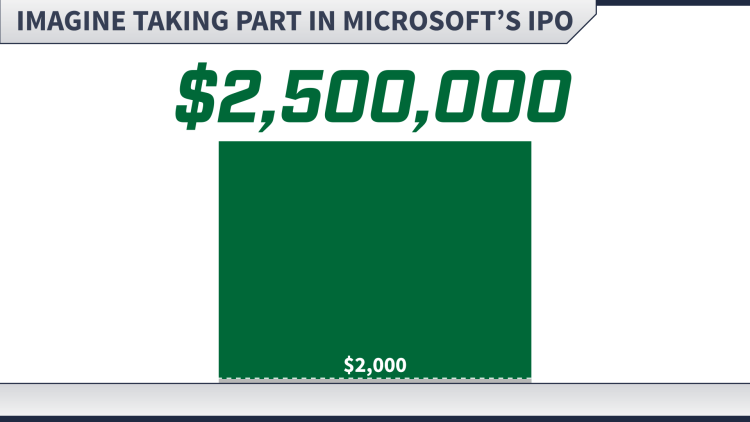 Imagine if you could go back in time and invest $2,000 in Microsoft when it IPO’d. Your stake would’ve been worth nearly $2.5 million this year. Ethereum is your chance to be a part of something that big. You are looking at a truly ground-floor opportunity to become a millionaire right now. And unlike Microsoft it doesn’t take decades to see seven-figure returns. John Travers is a perfect example of this. John’s a 21-year-old personal trainer. After exchanging $2,000 for Ethereum, he took off on a backpacking trip across South America. Down the road, he received a notification that his stake was worth $1 million. I have two words for you… THINK AGAIN! This is all just getting started. And what I’m about to tell you will blow your mind. Deloitte is the most powerful accounting firm in the world. They’re estimated to be worth $171 billion. Deloitte envisions a future where “10% of the world’s gross domestic product” runs through digital currency networks. And I’ll take that a step further. 10% of all wealth on this planet could eventually be in cryptocurrencies. The most recent estimate of all the wealth in the world comes in at around $241 trillion. Take 10% of that and you are looking at $24.1 trillion. That’s a nearly incomprehensible amount of money. 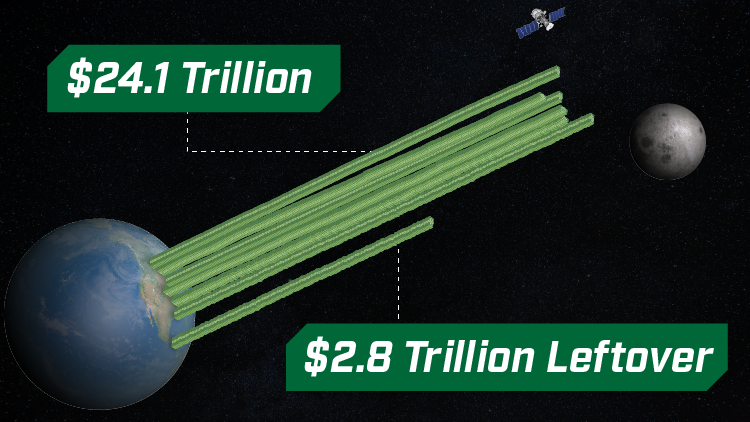 Each stack would reach from the earth to the moon – and you’d still have $2.8 trillion left over. That’s how much wealth could soon be flowing through cryptocurrencies. And Ethereum is primed to dominate this market. Because as you’re about to see, it’s much more than just a digital currency. And may, in fact, power the future. If things keep going the way they are, in three years, each Ethereum coin could be worth $167,361. But right now, they’re dirt cheap. So if you were to simply buy six coins and hold them, you could become a millionaire. And there has never been a better time to buy them than now. As we speak, major banks and financial firms are mapping out ways to integrate Ethereum technology into their operations. The big players in tech are joining the movement too, including Microsoft, Intel, and Samsung. So are energy and resource exploration firms like British Petroleum and BHP Billiton. And the $78 billion consulting conglomerate Accenture. They’re backing Ethereum as well. And so is Toyota and Overstock.com. The money transfer industry is worth $583 billion a year. Which might explain why PayPal founder and famed angel investor Peter Thiel has been championing Ethereum from the very beginning, with a six-figure stake to get it off the ground. Thiel is a self-made billionaire. He was also the first major investor in Facebook. So he knows how to pick a winner. And today he’s President Trump’s top tech advisor. But he isn’t the only one in President Trump’s inner circle backing Ethereum. 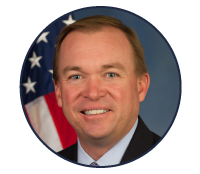 Mick Mulvaney is President Trump’s Director of the Office of Management and Budget. He’s in charge of overseeing the government’s $4.1 trillion annual budget. Mulvaney believes Ethereum’s technology could revolutionize the financial services industry, our economy, and how we handle government services. As you can see, Ethereum is on the verge of exploding into the mainstream. And they’ll pay you through the nose for your stake. 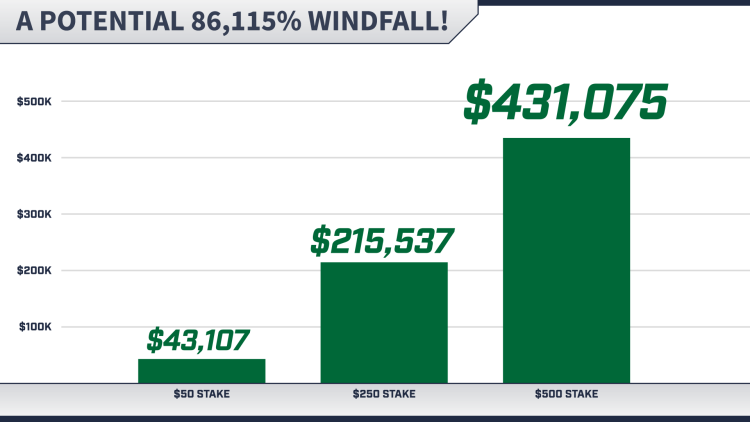 Based on my research, that could hand you a mind-blowing windfall of 86,115%! A type of return that can only be described as exceptional. You don’t have to wait that long to find your fortune. I’ve got a slew of other ways to play Ethereum that could have you collecting a non-stop series of paydays. If you like the idea of buying Ethereum for a price that can be up to 50% cheaper than the market rate, wait until you see this! I’ll then go one step further and reveal how you can get advanced $5,000 worth of Ethereum without taking any money out of your pocket at first. 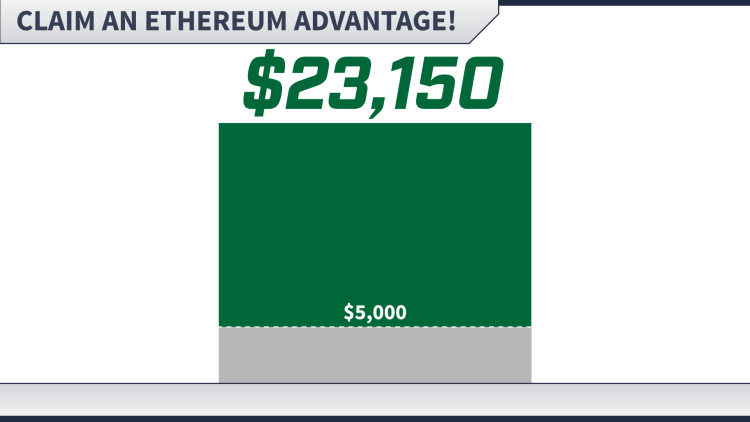 Just imagine if you were able to ride this “Ethereum Advance” until your stake is worth $23,150 or more before you have to actually pay for it. It’d be extraordinary, but who wouldn’t like a chance at making five figures on a cash advance? This is a method where you make five unique trades over the course of five months… and it could potentially pay you seven figures! 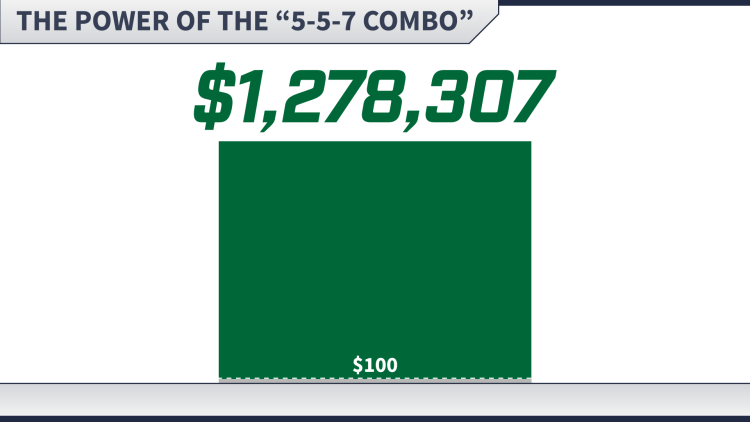 In fact, I’ll show you how this 5-5-7 Combo could’ve recently transformed a single $100 bill into a $1,278,307 windfall! Now, if you only have a few bucks to spare, I’ve pinpointed a “5-to-1 Ethereum Multiplier.” It’s a way to get paid $5 for every $1 move in Ethereum. By implementing a very specific strategy, along with some luck and fearlessness, you could’ve made $370 a day over the last month from this. You just set it up once and it automatically kicks in if, and only if, a very rare event occurs. If it doesn’t you never have to pay a penny. If it does though… your windfall could be legendary. Hardly anybody knows they exist. And this unconventional income stream could pay you 200% a year. Oh, and those “Ethereum Dividends” can be paid daily too. And if you want to become a prolific angel investor like the folks on Shark Tank, I’ll show you how to use Ethereum to fund the hottest startups through Initial Coin Offerings – otherwise known as ICOs. 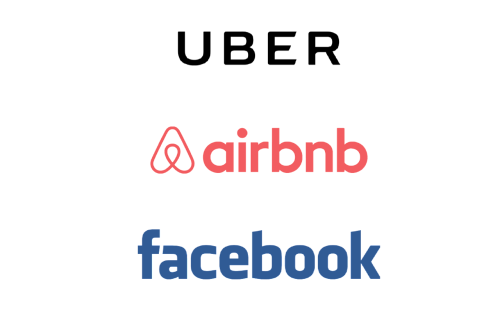 Picture getting in on the ground floor of the next Uber, AirBnB, or Facebook! Ethereum could make that happen for you! So please pay close attention to everything you are about to see and hear. First off, let me tell you a little more about myself. 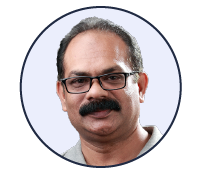 And senior advisor to 12 tech startups. In the late 1990s, a few miles north of Silicon Valley, I took part in the meetings that mapped out what would become the $160 billion “cloud computing” industry. After the millennium, I worked with Dave DeWalt, the former CEO of McAfee, on cyber security technologies, just before Intel acquired his company for $7.8 billion. In 2006, that company was sold for $126 million. Today, it’s driving the $7 trillion “internet of things” industry. I’m proud of what I’ve accomplished. Even though I was fortunate to be one of those insiders. And I joined the team here at Money Morning as Director of Venture Capital and Technology Research. 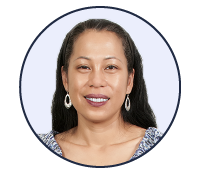 Now I use my expertise and connections to help everyday folks get in on the ground floor of the exotic technologies and disruptive innovations that will change the world. And this isn’t my first go around with cryptocurrencies. I was one of Bitcoin’s early backers. In June of 2013, I filmed a video where I recommended my readers strike fast and get into Bitcoin. Who were at the forefront developing the currency exchanges and investment funds that would push Bitcoin into the headlines. Bitcoin was trading for $90 then. Over the Five Months That Followed. And the stories I was hearing were truly inspiring. Others pocketed incredible six-figure paydays. Some were even banking millions. And I believe we’re about to see history repeat itself with Ethereum. Only this time it’s going to be even more lucrative. 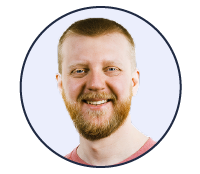 My team and I have been tracking Ethereum since a 23-year-old programmer named Vitalik Buterin and co-founder Dr. Gavin Wood first released it. We actually flew Dr. Wood in from his office in Europe to give us the inside scoop. And we filmed that meeting. I have that footage – I’d like to share it with you in a little bit. 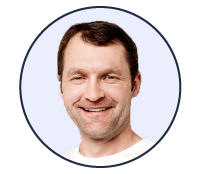 One of the creators of Ethereum is ready to help you become a millionaire from it. First things first, I’m going to assume you’ve never invested in cryptocurrencies before. So you need to know how to buy your coins. Step 1: You install an app on your phone, or go to an online exchange with your computer. Step 2: You exchange your U.S. dollars for Ethereum. It’s a couple of mouse clicks and then you are the proud owner of Ethereum. And from that moment on you have a world of possibilities in front of you. Any path you choose could make you a millionaire. But let’s start with the most basic approach. For this, there is one word you need to understand. And it’s a word that, for a lot of investors, is pretty scary. But with Ethereum it’s your best friend. 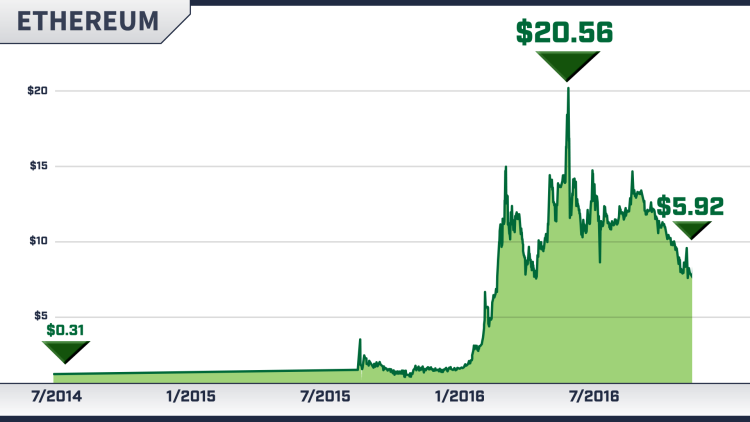 The first day you could buy Ethereum was July 22, 2014. There was little fanfare and each coin cost $0.31. Less than two years later, it was trading for $20.56 a piece. Yet, by December it had fallen to $5.92. Then, early in the summer of 2017, it had soared to $414.76. A month later, Ethereum had fallen to around $200 a coin. I imagine a lot of people see this and want to retreat to the warm and safe confines of Blue-Chip stocks paying 2% dividends. You can’t get rich from that. 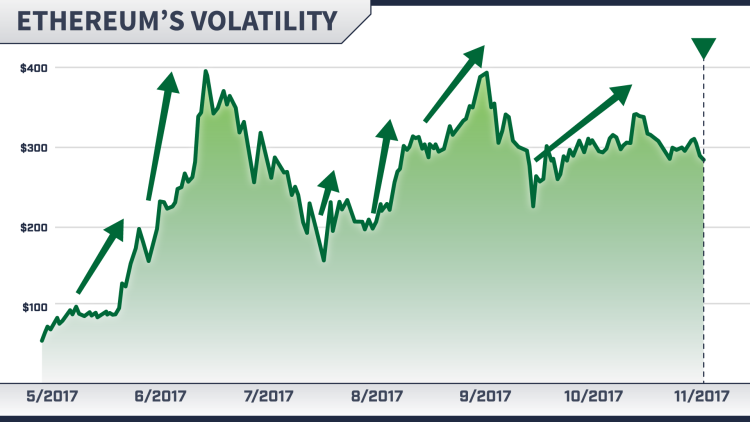 But you can get rich from Ethereum’s volatility. Each valley is an opportunity for you to strike. 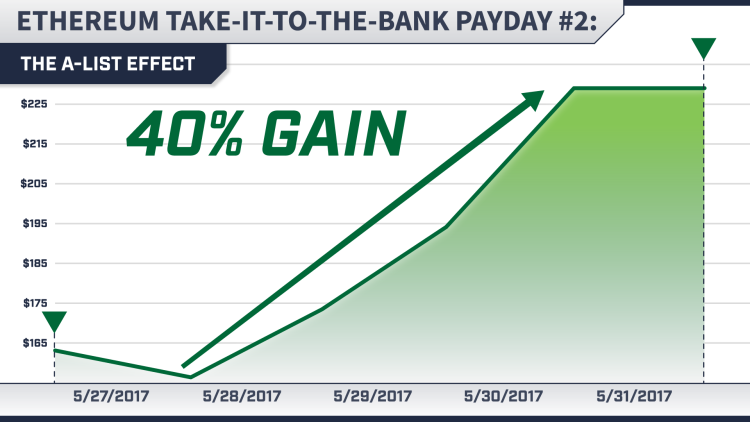 Each peak… an opportunity for you to cash out for a massive score. But I also really love the excitement of trading this cryptocurrency and reaping all the rewards. And you will too after you hear Shaun Rendon’s story. Shaun decided to share it online. And I’m so glad he did. Shaun works at a hedge fund. But his firm has a policy against trading cryptocurrencies. So he took his future into his own hands. Shaun transformed $500 into $10 million. You think he’s scared of all this volatility? He plans to make $100 million off it. And in the future he just might. After all, we don’t have to look that far in the past for a pretty convincing precedent. This is Bitcoin in its early days: 2011 and 2012. They don’t look so volatile now, do they? They look like bumps in the road, as the value of Bitcoin soared. But with Bitcoin, its Wild Wild West days are over. Fortunately, that’s not the case with Ethereum. I’m going to show you something that really drives this point home. 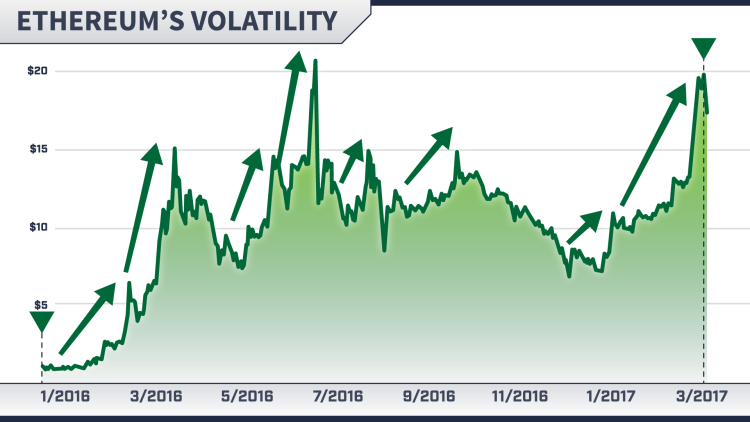 It’s how – armed with my Ethereum “5-5-7 Combo” – you could’ve used this volatility to turn $100 into more than $1.2 million over a five-month period in 2017. And it only took five unique moves. Obviously, we’re talking about the past here. For that and other reasons, you can’t expect to replicate this step-by-step. But it shows you what’s possible. On May 1, you could’ve bought $100 worth of Ethereum. 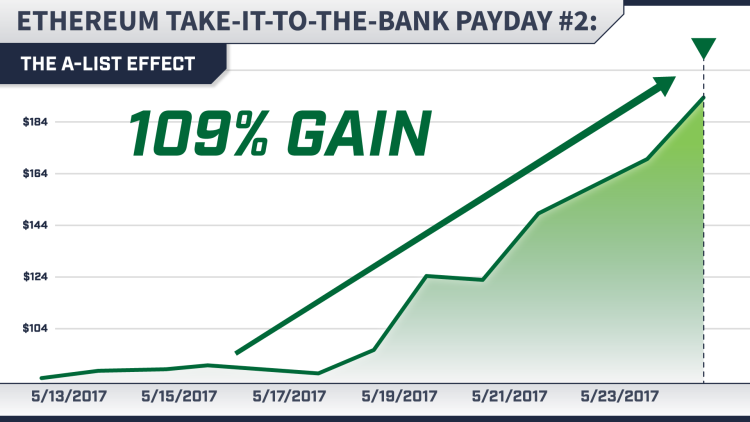 Then, using a very unique method – and the power of leverage – you could’ve cashed out on June 14 for $2,205. And you could’ve walked away – right then and there… $2,205 richer. 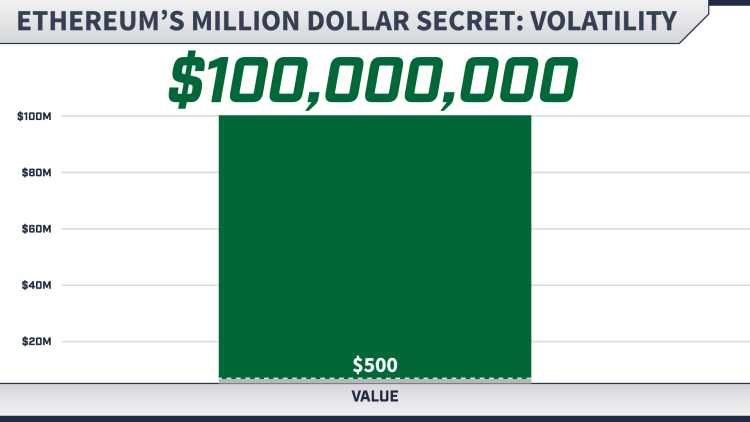 Not bad… or you could’ve flipped that money into another unique trade and gone for an even bigger hit. And by July 16, your stake would’ve been worth $9,222. At that point, you could’ve taken your winnings and gone home pretty happy. And that $9,222 would’ve transformed into an $87,673 windfall… all by September 1. Nobody would’ve blamed you for calling it a day. And that $293,896 into $1,278,307 one month later. 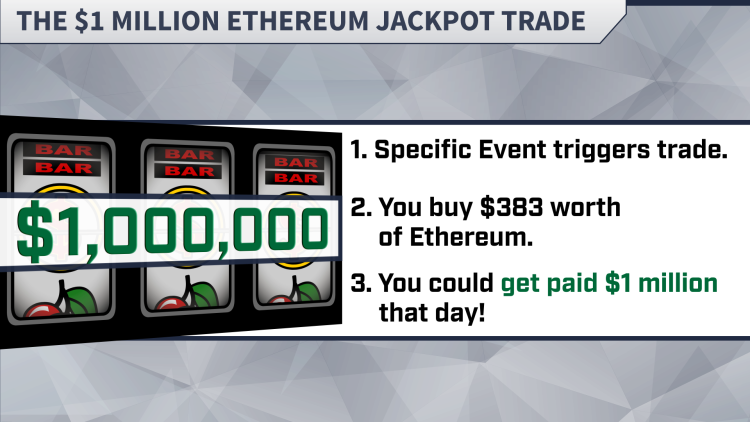 To recap, over the course of five months, you could’ve used my Ethereum 5-5-7 Combo to grow $100 into $1,278,307. 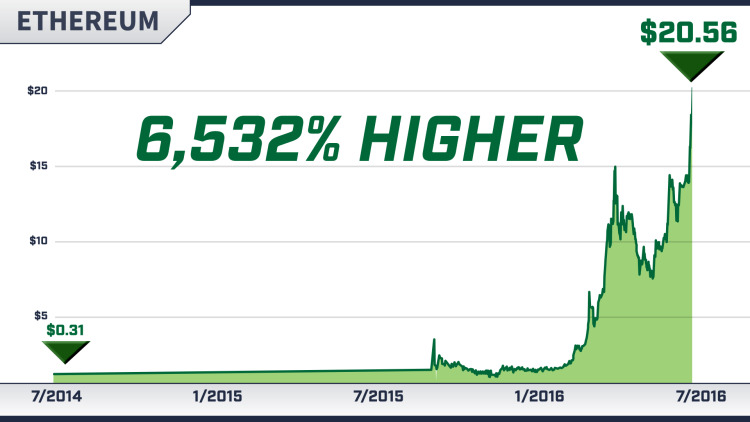 During this time, the actual price of Ethereum went up as high as 157%. Pretty good in its own right. 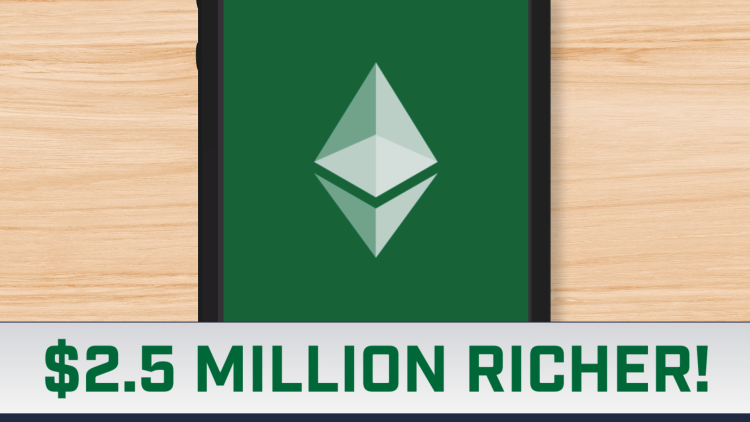 However, by harnessing my Ethereum 5-5-7 Combo, your windfall could’ve reached 1,278,207%. 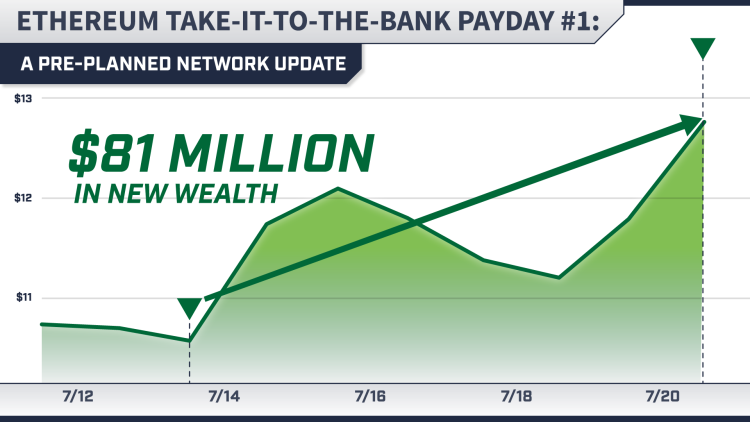 But I certainly need to stress that a 1,278,207% payday is exceptional – it would’ve required some pretty special timing and quite a bit of luck. However, at any point in that journey, you could’ve made a lot of money. My Ethereum 5-5-7 Combo is simple to set up. I’ll give you some more info on this in just a little bit. It’s worth mentioning though, you don’t have to invest even $100 to put most of my tricks to work. If you only want to exchange $1 for Ethereum, you can. Long story short – I strongly suggest you take whatever you feel is right and get in the game now. Because it’s too cheap not to take a chance on this. Especially with all the new wealth Ethereum is creating. This ID number represents somebody’s account. I can see that this person’s Ethereum stake is worth $604,032. And this person is sitting on $11,262,716 worth of Ethereum. But here’s what I don’t know. Not their age, gender, or Social Security number. I also don’t know whether they started with $5, $50, or $500 and it exploded into these enormous windfalls. And neither does the IRS. Because these people don’t have to legally report the value of their holdings. So in a way, you could look at your Ethereum account as a digital Swiss bank account. Except you don’t have to be a millionaire to open one. But it could make you a millionaire… quickly. And I recommend you secure your Ethereum stake now. Because these coins won’t stay cheap much longer. Already, a lot of very wise people are predicting Ethereum will become much more valuable than Bitcoin. And word is starting to spread. As I mentioned, billionaire Peter Thiel is backing Ethereum. My team and I were recently talking to one of the richest men in the world. He’s an enormous gold investor – very politically connected. This was a private conversation so I’m going to withhold his name. And there are some very predictable events that give you the chance to grab one payday after another. And let me tell you – you can see them coming from a mile away. In fact, I’ll show you two types right now. This heat map represents the global network of servers and computers powering Ethereum. 4.92 terawatts of electricity is running through this network. That’s enough to power the entire state of Florida and its 20 million residents. This gives Ethereum a major advantage over Bitcoin. Bitcoin’s network is currently capable of processing three to four transactions a second. But Ethereum came out of the gate with the ability to process 20. In the world of banking and finance – where fortunes are won and lost in fractions of a second – this is checkmate. And Ethereum’s speed advantage is about to become even bigger. According to my sources, a planned network update could exponentially boost Ethereum to 1 million transactions a second. And you can see why both are backing Ethereum technology. I’ll admit, on the surface, talking about network updates is somewhat boring. However, you can make a lot of money from them. You see, usually before any planned network update takes place, a press release is issued. This can occur a couple of weeks, or sometimes days, in advance. You could reap a potential windfall. 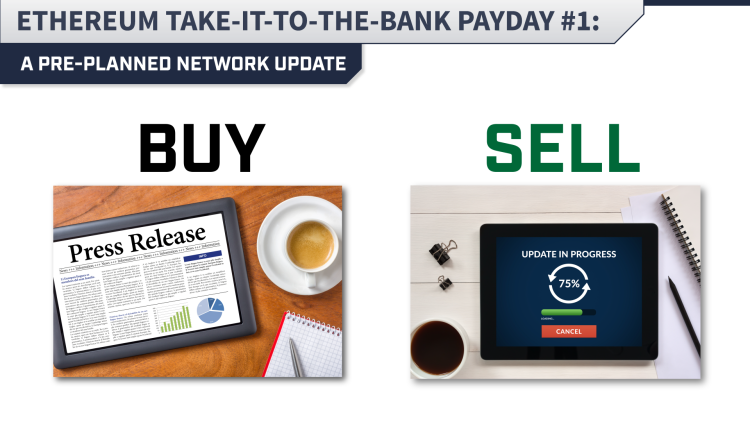 Consider two network updates that took place last year. For the first, take a look at this chart. 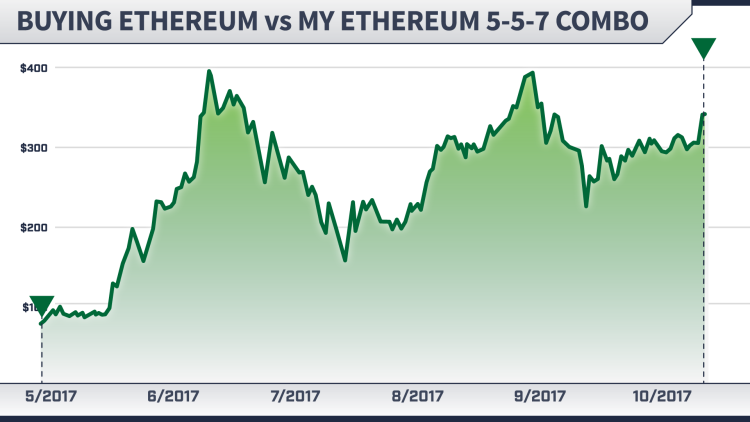 On February 29, the update was announced when Ethereum was trading for $6 a coin. However, this update wouldn’t go into effect until March 14. Notice what happens between these two dates? Ethereum’s price surged to $15.01. You could’ve made 150% if you had bought on February 29 and sold on March 14. Overall, $481 million in new wealth was created during this time. And the following July, the next update was announced. The press began talking about it on the 15th. The day before, Ethereum was trading for $10.61 a coin. Six days later, when the update finished, the price hit $12.71. And $81 million in new wealth was created. All from an event that you knew in advance was going to happen. I already know of three that are planned for the coming months. So right off the bat, that’s three potential windfalls that are in the pipeline. And by acting at the right moment, you could collect thousands of dollars in quick cash from each of them. It creates a lot of buzz and drives up interest in the currency. You could pocket some quick paydays. Take what happened on May 16. This is when execs from JP Morgan, Microsoft, and Intel announced they were collaborating on an Ethereum project. From $92.41 to $193 a coin. The next week, on May 28, Toyota announced they were joining the Ethereum movement. They had partnered with MIT to integrate Ethereum technology into their self-driving smart cars. 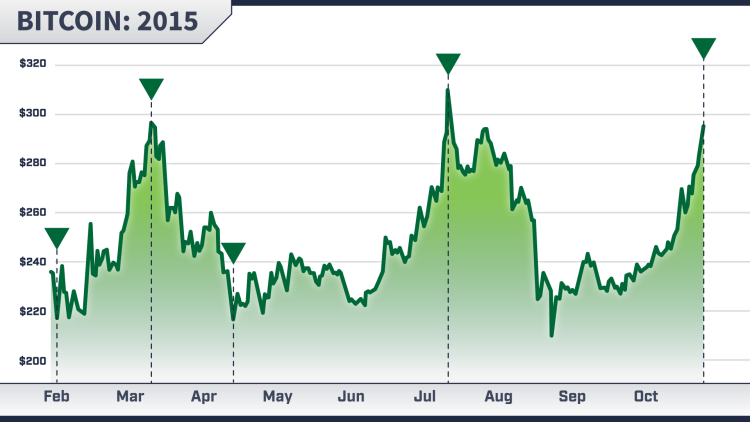 Between May 28 and May 31, Ethereum’s price jumped from $163 to $229 a coin. 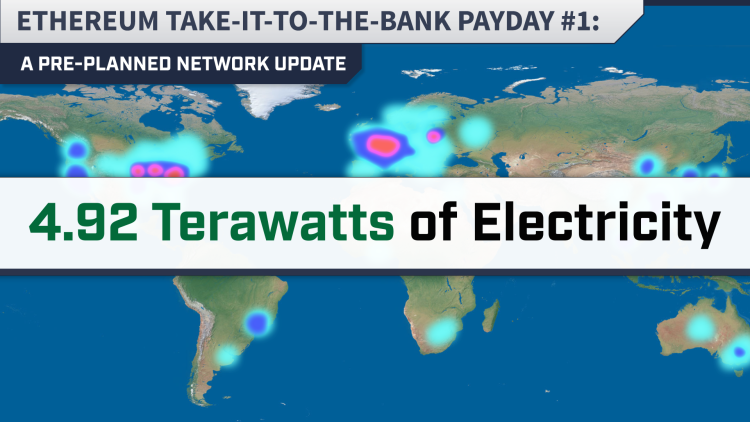 By Ethereum standards, a 40% payday over three days is tame. However, with my Ethereum “5-to-1 Multiplier” tactic, you could’ve taken that 40% and transformed it into 200%. Ethereum is not a risk-free investment. On the other hand, it’s so cheap you don’t have to bet the farm to potentially make a life-changing amount of money. You don’t have to invest any more than a single $1 bill to get into Ethereum. If that’s all you want to commit, look at this opportunity like buying a Powerball ticket… only way better. 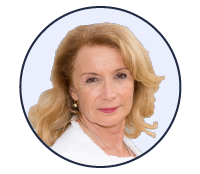 Doing so could hand you the retirement of your dreams. 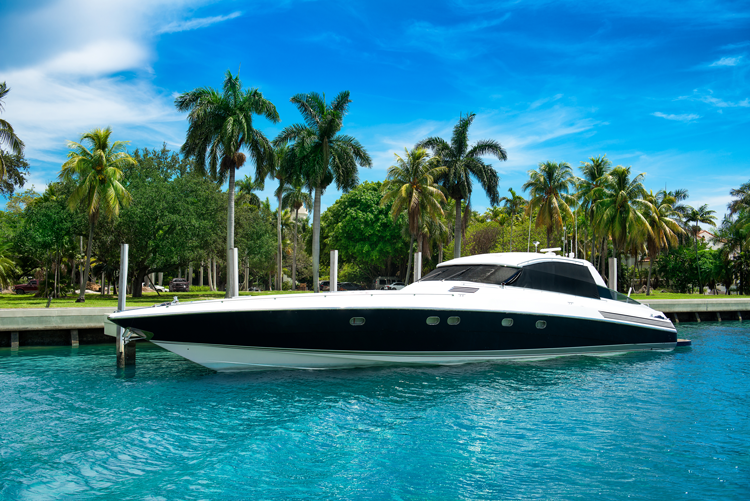 If you are cashing 52 weeks’ worth of paychecks in a single day, it won’t be long before your co-workers are throwing you a retirement party… on your brand new fancy boat. I know Ethereum can give you the chance to achieve whatever financial goals and dreams you’ve set for yourself. So I’ve created an exciting multi-media package that will help you capitalize on this virtual gold rush. And I would like to send it to you for free. 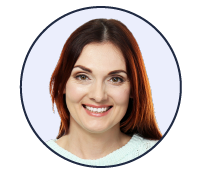 Can get rich from what is – without question – the opportunity of a lifetime. I even called in Dr. Gavin Wood – the co-founder of Ethereum – to give you a true insider’s view of this virtual gold rush. Make no mistake, some very powerful people would pay millions of dollars just to get their hands on what this guy knows. And he’s agreed to give you the keys to the castle. How to Quickly Secure Ethereum for Pennies and Turn it into Millions! 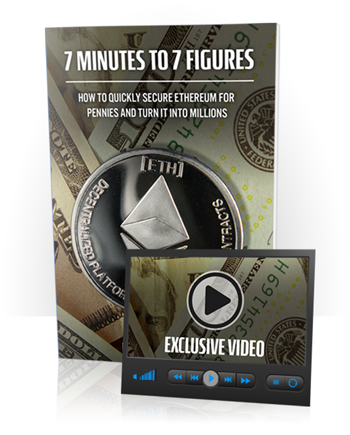 To show you how to quickly and cheaply grab your Ethereum stake and transform it into a life-changing sum of money. You can do it all through a simple cell phone app. Or if you prefer using your computer, no problem, I’ve got you covered. I’m going to walk you click-by-click through setting up your account. I’ll show you how to transfer US dollars into it so every penny is FDIC insured. Just follow along with me – do as I do – and you’ll be ready to go. Then I’m going to share two very specific tactics that will give you a huge advantage over everybody else. This can allow you to obtain your coins for a price that is as much as 50% less than what others are paying for them. Think about how big of a deal that is. 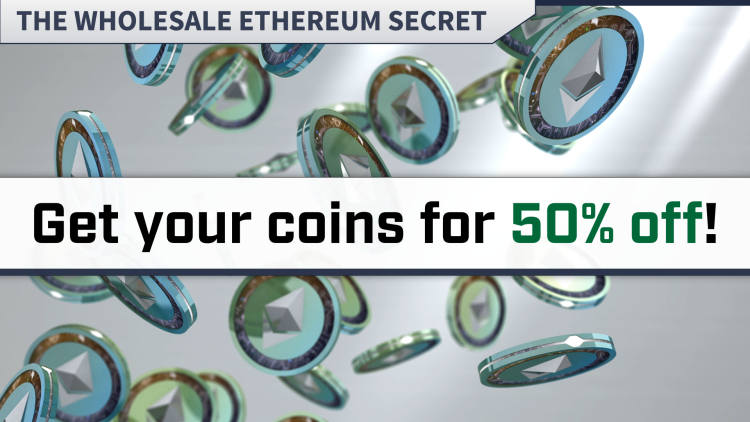 With this “Wholesale Ethereum” tactic you can effectively grab $100 worth of this digital currency for every $50 you spend. So you could lock up twice as much Ethereum as other people. You could be making 10,000%. Both are pretty big paydays, but yours is bigger. I’m not sure how long my “Wholesale Ethereum” tactic will last. So you are going to want to strike quick. And my second tactic will help you lock up an even bigger stake, without having to spend a dime up front. 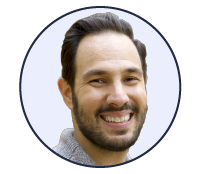 I’m going to show you how to score an “Ethereum Advance,” where you get handed a bunch of coins without having to pay for them until 30 days later. You can secure as much as $5,000 worth of Ethereum using this tactic. 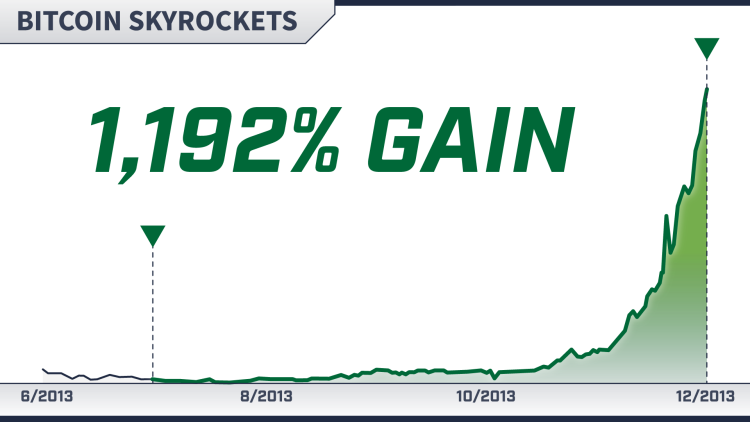 Last June, it could’ve made you 363% on the money you were advanced. So that $5,000 could’ve soared to $23,150. Everything in this video is point and click. It’s simple to follow. And I’m also including a special 7 Minutes to 7 Figures companion report. Here I’m going to take you through some of the major benefits of Ethereum. Know how much you’re holding unless you choose to tell them. 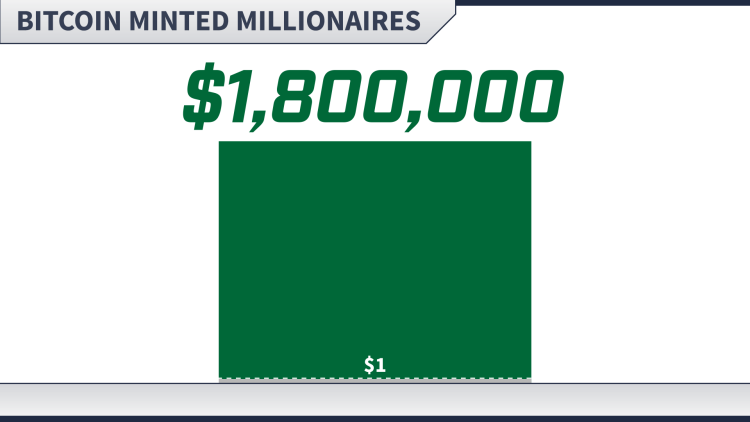 You could be rewarded with an 86,115% windfall in the years ahead. That means every $50 you invest today could pay you $43,107. Every $250 could transform into $215,537. And every $500… into $431,075. Obviously, investing in Ethereum carries some risk. But that’s why you could make 86,115% from it. Early Bitcoin investors had the opportunity to make 178,559,900%. So it’s possible my 86,115% windfall projection could turn out to be extremely conservative. That’s what you could make from just buying these coins and setting them aside. 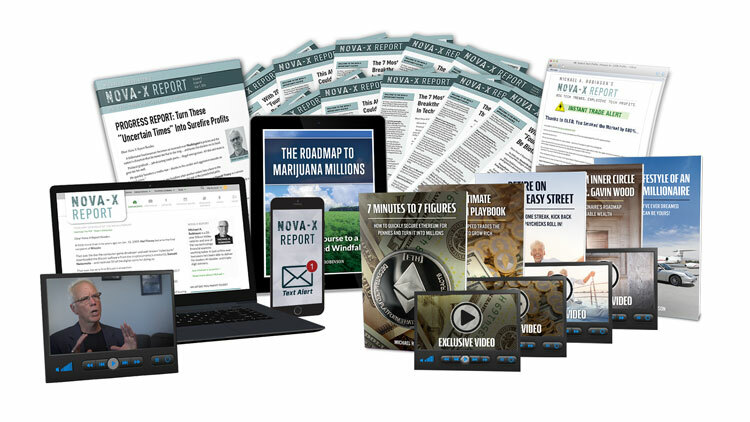 You could begin receiving a non-stop series of lightning quick, paychecks. And the next piece of this package will show you how to do just that. As a cryptocurrency veteran, I’ve spent years uncovering the little-known tactics the top traders have used to become self-made millionaires. And with this video guide, I’m going to put them all at your fingertips. For example, you’ve heard me reference my Ethereum “5-to-1 Multiplier” a couple of times already. And 200% over three days. 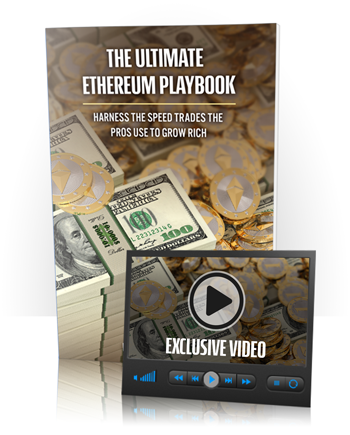 In The Ultimate Ethereum Playbook, I’m going to show you how to capitalize on this trick. In a nutshell, this is a special type of trade that lets you make $5 for every $1 move in Ethereum. This is possible because of the power of leverage. Leverage isn’t for the faint of heart. You get more upside with it – but also more downside. So this isn’t a bet-the-farm strategy. In this video guide, I’m going to show you how to set up this Ethereum “5-to-1 Multiplier” so that it could hand you a nice daily paycheck. It will only take a minute of your time every morning to put it to work. And transformed it into a payday that would’ve averaged $370 a day. 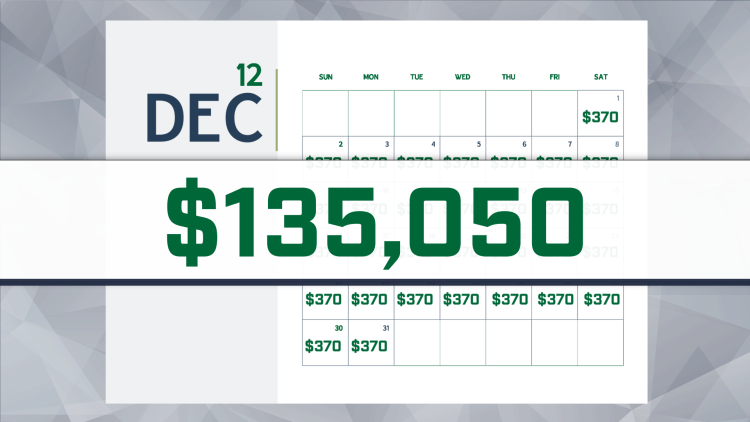 At that pace, over the course of a year, you could make $135,050. Of course, pulling this off would require mastering this tactic and flawlessly stringing together a number of these trades. That would be pretty exceptional. But think about what you could do with even half of that extra money. And to capitalize on this – it only requires you to invest veritable pocket change… a single $5 bill. However, if you were willing to commit a little more, you could become a millionaire very fast. He’s a 47-year-old, part-time musician. 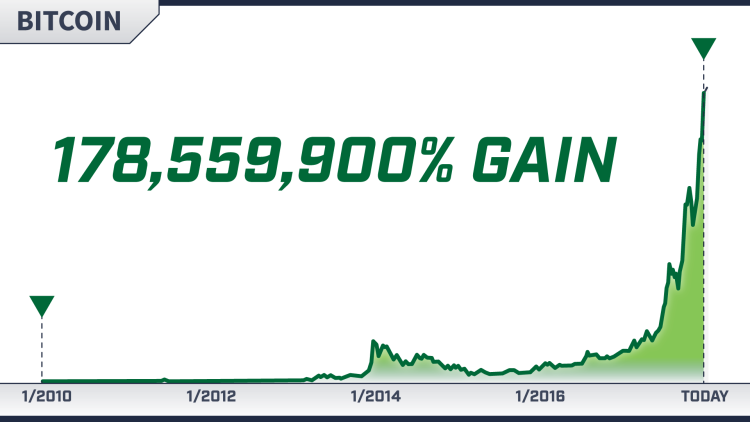 And he turned $8,500 into $7.5 million in six months by harnessing the power of leverage with his crypto trading. If you recall, I showed you how it could’ve transformed $100 into $1,278,307 over the course of five months. I’ll admit, this requires a little more work than my other tactics. Instead of making one move, you make five. So altogether, it might take five minutes to execute. This one might be your favorite. It also takes five steps to set up. I’ll walk you through each. This trade is only activated if, and only if, a rare event occurs. If it does, you will be required to buy $383 worth of Ethereum. And it could pay you $1 million the very same day. If the event doesn’t occur… you pay nothing. I recommend you set this trade up while you are drinking your morning coffee. And then go out and enjoy your day. Go fishing, play tennis, whatever you want. And if this event happens, you’ll get a cell phone alert notifying you of your brand new millionaire status. If you are hoping to retire as soon as possible, The Ultimate Ethereum Playbook could make that a reality. 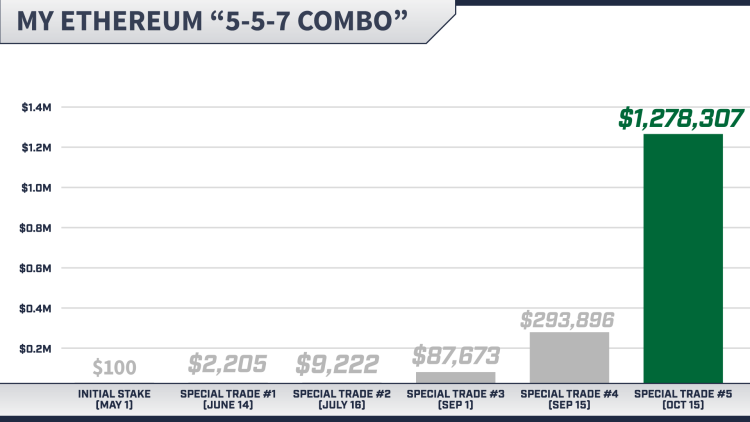 These trades could easily replace your salary… many, many times over. And if you’re already retired, you are going to love the next part of this package. Flip on This 200% Income Stream, Kick Back, and Watch the Paychecks Roll in! The secret to a comfortable retirement is having numerous income streams. Which is why most folks turn to dividend stocks. Unfortunately, it’s hard to make a serious amount of income from Blue Chips unless you are already a millionaire. You’d get rewarded every three months with a $100 dividend check. You could receive a $100 “Ethereum Dividend”… every single day. 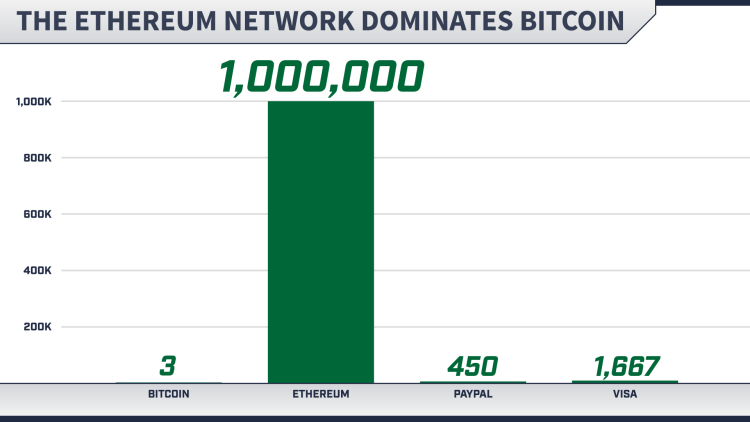 The Ethereum network is big and powerful, but it is still growing. So by backing it now, you can be handed an oversized “Ethereum Dividend” that could come out to as much as 200% a year. And the amount you make could grow alongside Ethereum’s price. So a $100 daily payout could soon turn to $250, $350, or even $500. Of course, the amount of money you can make with this depends on how much time and effort you can put into it. 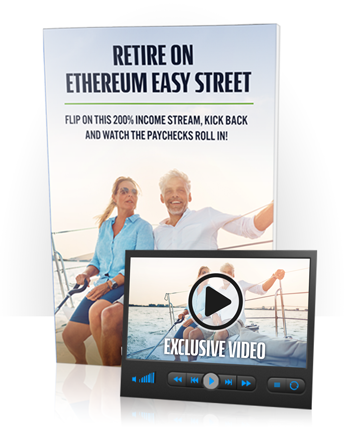 In Retire on Ethereum Easy Street, I’ll show you how to secure this unique income stream. And I’ll reveal how you can stash this daily payday, along with your entire Ethereum holdings in an IRA, Roth IRA, SEP IRA, or 401(k). That will give you yet another weapon for legally shielding your wealth from taxes. Now, it’s undeniable that a connected insider giving you the real story on an investment is exciting. It’s an unparalleled advantage. 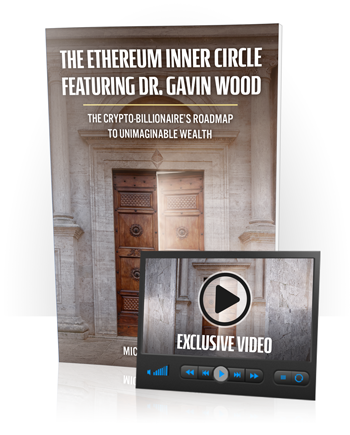 And when it comes to Ethereum, there aren’t many insiders more connected than Dr. Gavin Wood. 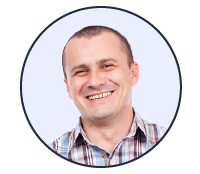 He is, after all, one of the inventors of this cryptocurrency. And in this next video report, he’s going to tell all. I’m an expert on Ethereum. But I have no problem admitting that Dr. Wood has access to information on this digital currency that I would never be able to get my hands on. Fortunately, in this exclusive video report he’s agreed to share his insider intelligence with you. What he knows is priceless. These events always seem to precede massive price spikes. 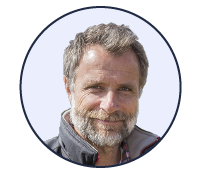 Well in this video, Dr. Wood describes a third type of event that is fast-approaching. He knows of one foreign government that could soon announce they’ll conduct much of their international trade in Ethereum. That could result in as much as $578.6 billion flowing into this digital currency. If you time this expected announcement just right, it could instantly return 20 times on your investment. This is just one of Dr. Wood’s must-see tips. Overall, this video report runs 90 minutes. So I can’t disclose everything here. Initial Coin Offerings – you might know of them as ICOs. Essentially the hottest startups are rebelling against the old guard in Silicon Valley. These privately held companies are allowing everyday folks to invest in them with Ethereum. This could be your chance to get in on the ground floor of the next Facebook. 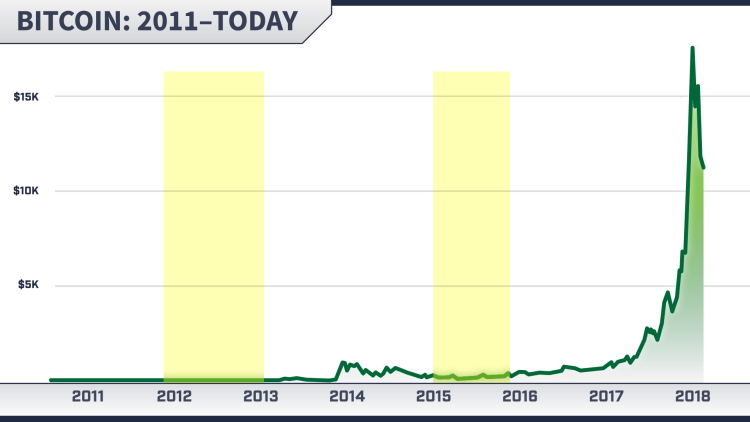 Back in May of 2005, Facebook was valued at $100 million. By January of 2008… $15 billion. 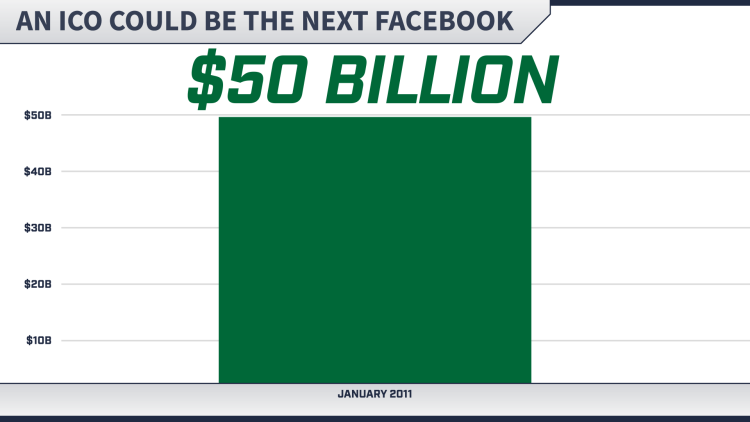 January of 2011… $50 billion. That’s a rise of 49,900%. The equivalent of transforming $100 into $50,000. The next Uber could be in play too. Early investors in Uber could’ve turned $100 bets into $1.75 million windfalls. The problem is average investors weren’t given the opportunity to back these startups. Only the Silicon Valley insiders had that privilege. ICOs are breaking down these barriers. Within the last year, one of them has already handed investors a 1,267% return. 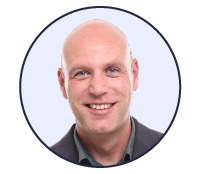 However, in this video Dr. Wood reveals what he describes as a “revolutionary” ICO that’s about to debut and it could create $30 billion in new wealth. You’ll even know how to get your stake for fractions of a cent compared to what others could pay. Now I have one more report in this package. And this one is very different from the others. Everything You’ve Ever Dreamed of Buying Can Be Yours! My hope is that Ethereum will be your ticket to joining the ranks of the wealthiest 1%. How are you going to spend your newfound wealth? It certainly crossed Ellen O’Day’s mind. With this report, I’ll show you how to use your Ethereum winnings to buy anything your heart may desire. 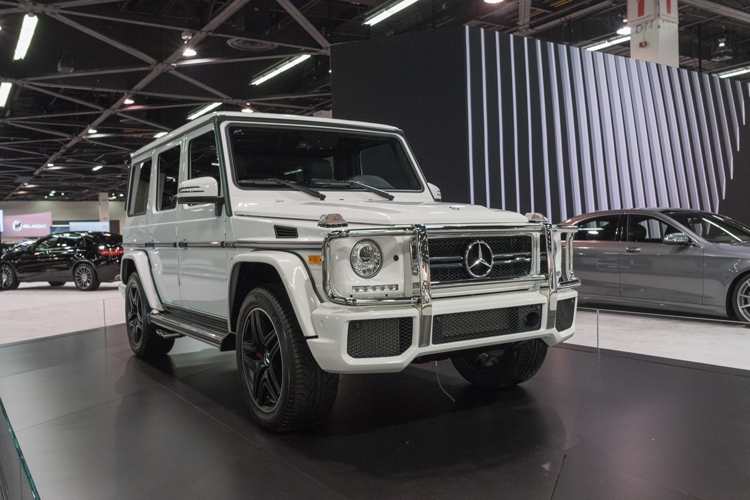 Like this Mercedes AMG GLS 63. 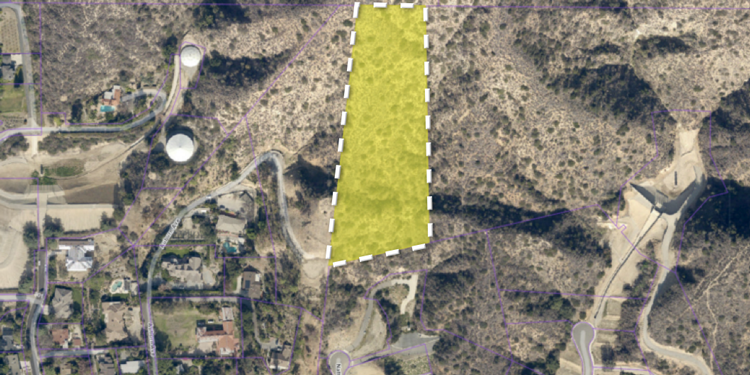 Or this 4.12 acre lot in Los Angeles – it’s perfect for a dream house. 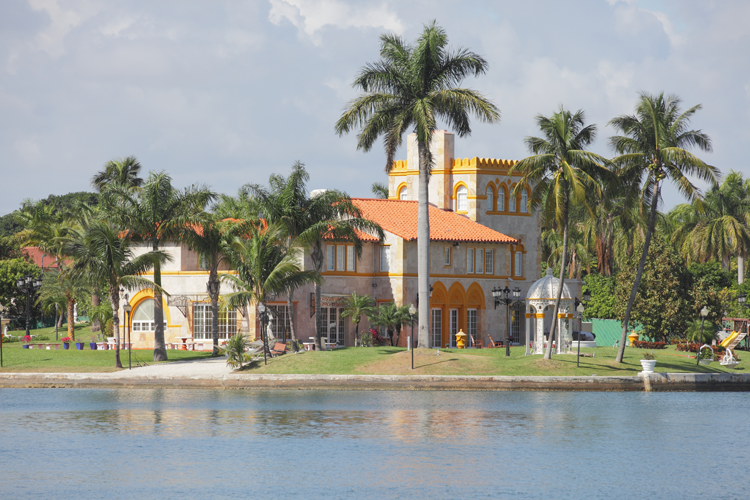 Or maybe, this waterfront mansion in Miami Beach is more to your liking. 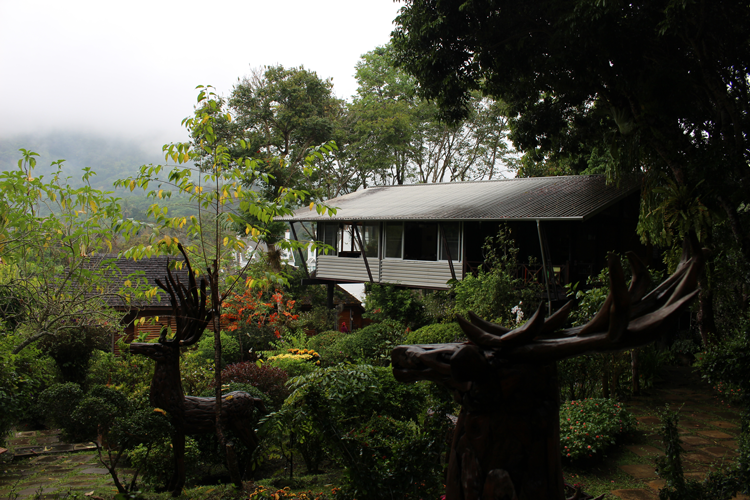 It has six bedrooms and six bathrooms. Oh, and when you pay for it with Ethereum, the owner will also throw in a 41-foot yacht. Or maybe you have that entrepreneurial mindset like Joshua Foer. He used a portion of his Ethereum winnings to fund his lifelong dream of building and opening a restaurant. You might find this 11-room boutique resort in Belize to be a good fit. I’ll even show you how to buy gold bullion and silver bars with Ethereum and have everything arrive at your front door in a couple of weeks! There are all kinds of special deals being offered exclusively to people who want to pay for their purchases with this digital money. So use this report to spoil yourself. As you can see, The Fast Track to an Ethereum Fortune is a comprehensive package. 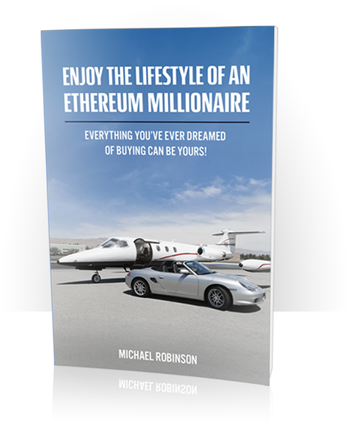 Enjoy the Lifestyle of an Ethereum Millionaire ($49 Value). Conservatively, if I wanted to charge $545 for this package, that would be a bargain. However, I’d like to send it to you for free. I look at this as just the start of what will be a very long and mutually beneficial business relationship. Today I serve as Money Morning’s Director of Venture Capital and Technology Research. And here at Money Morning, my team and I have been tasked with identifying the ground floor innovations and Silicon Valley deals that could generate astronomical levels of new wealth. 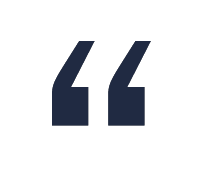 And whether it’s the max gains we’ve seen from Pharmacyclics, Galapagos, Nvidia, NetQin Mobile, LSI Corporation, Westport Innovations, or any of the others I’ve shown you… we always approach these opportunities with a venture capitalist’s mindset. Bitcoin perfectly fit that billing when I recommended it in 2013. Today, the Ethereum story is playing out the same way, only bigger. And I want to be with you every step of the way. So here’s what I’m offering you. Again – I’m willing to send you The Fast Track to an Ethereum Fortune for free. 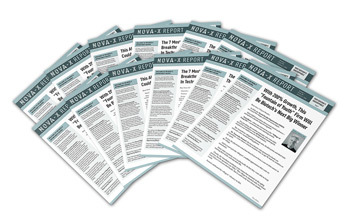 All I ask is you accept a no-risk membership to an investment research service I’ve launched called Nova-X Report. I had been meeting with the founder of this firm and I extensively vetted this opportunity. Since introducing this opportunity, one of the holdings has IPO’d for $1.1 billion and another has been bought for $425 million in cash. Each Deal Briefing will provide you with a streamlined analysis of the company, its executive team, proprietary technologies, revenue projections, and sources of venture capital funding. 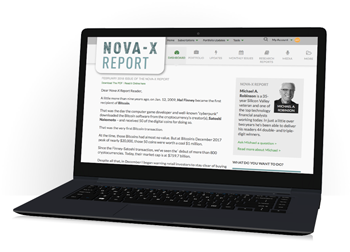 And from time-to-time I will issue Nova-X Special Reports on situations that – like Ethereum – demand special attention. General Cannabis Corp… 642% in a month and a half. 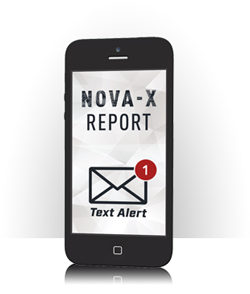 And once I release a Deal Briefing or Special Report, I’m going to be by your side providing you with weekly Nova-X Progress Dossiers. I’ll keep you up to speed on any new developments, product launches, earnings reports, and a complete rundown on the gains we’re seeing in our model portfolio. And since we also have a series of “Ethereum Take-it-to-the-Bank Paydays” approaching – in these dossiers I’ll tell you when to strike. Now, let’s talk about what happens when it’s time to collect any profits on these deals. 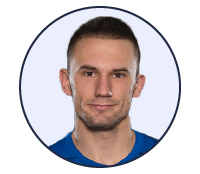 When that moment arrives, you’ll receive an instant trade alert, along with my analysis. 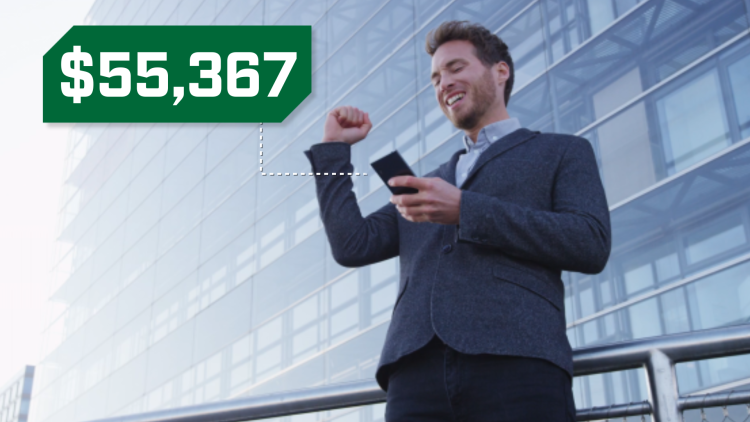 Every time I issue a new Deal Briefing, Special Report, or trade alert I’ll be more than happy to send you a quick text message to let you know. For instance, with Micron Technologies, folks following my research had the opportunity to get in and out of that trade in a day. I actually received a letter from a doctor who told me he bought Micron while boarding a cruise and cashed out the next day for a 136% gain. He paid for his entire vacation with the profits. Now, whenever I interview the CEOs of the companies we’re targeting, I will share this footage with you. And it’s very hands on. Which is why the price for a year’s subscription is $299. Some have doubled their money. And even better – others have multiplied their entire net worth. I believe Ethereum could make you a millionaire. And I don’t want anything to get in your way. 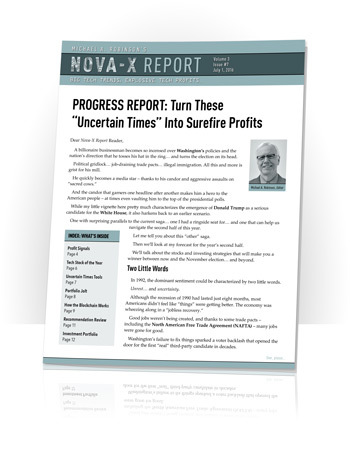 So I’m going to authorize a deal where you can subscribe to the Nova-X Report for literally pennies a day. You can claim The Fast Track to an Ethereum Fortune for FREE. If all you do is hold these coins, you could turn a small $250 stake into $215,537. Of course, my hope is you also set up some of those millionaire-making trades I reveal in this package. So let’s not waste another moment.